The normally family friendly event ran for more than 20 years and had broken world records for most lit jack-o-lanterns in one place. 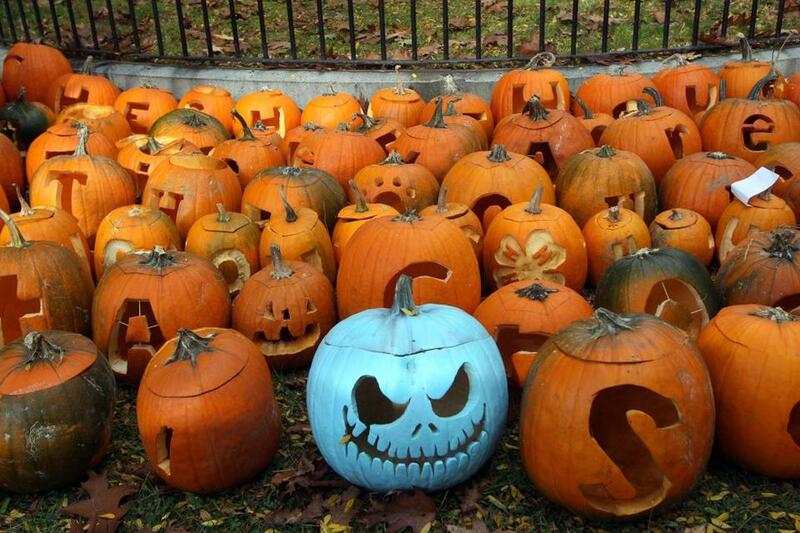 KEENE, N.H. — A New Hampshire city is bringing back a pumpkin festival known for its record-setting jack-o-lanterns three years after violence forced its cancellation. Keene’s mayor cast a tie-breaking City Council vote Thursday to bring back a smaller festival more focused on children. The vote came after administrators at Keene State College said they had seen social media posts suggesting big parties or dangerous behavior could return. The Pumpkin Festival is scheduled for Oct. 29. The festival had been a family friendly event for more than 20 years and had broken world records for most lit jack-o-lanterns in one place. But in 2014 police used tear gas to control crowds during disturbances near Keene State. More than 170 students were disciplined, and several dozen were injured. An alternative festival that started in Laconia is scheduled for Oct. 13-14. 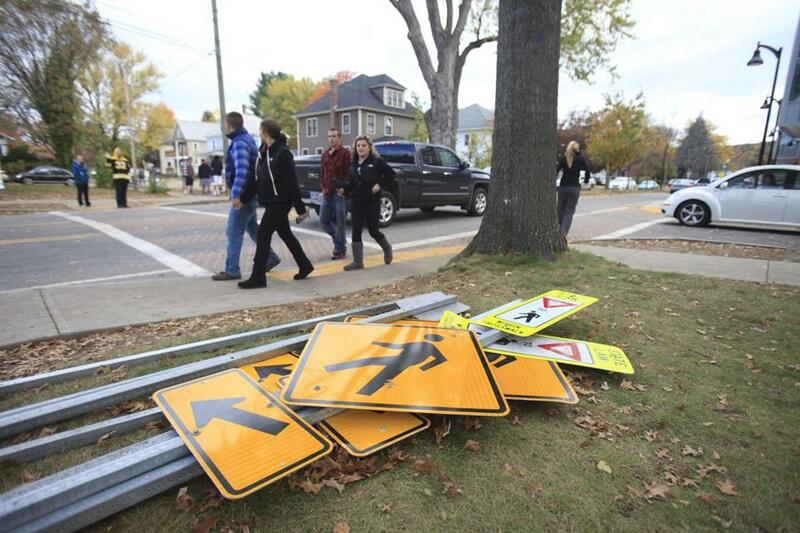 Street signs were torn down in Keene, N.H., in 2014. Police used tear gas to control crowds during disturbances near Keene State amid the pumpkin festival.